Score Slitter Holder Replacement Parts - Replacement Holder Spacer | 1050 | Carolina Knife Co.
Holder spacers are used to create space between, and properly position, a score knife holder’s side plates. This OEM part may be just what you need for your score knife assembly. 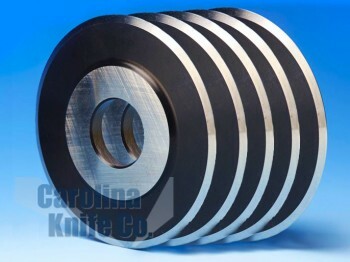 If you need replacement holder spacers for your score knife applications, Carolina Knife Company carries various score knife spacers that are manufactured to exact OEM specifications. These type of spacers are placed between the side plates to ensure the proper distance between them. If you are interested in learning more about these replacement holder spacers, contact our industrial knife company today!